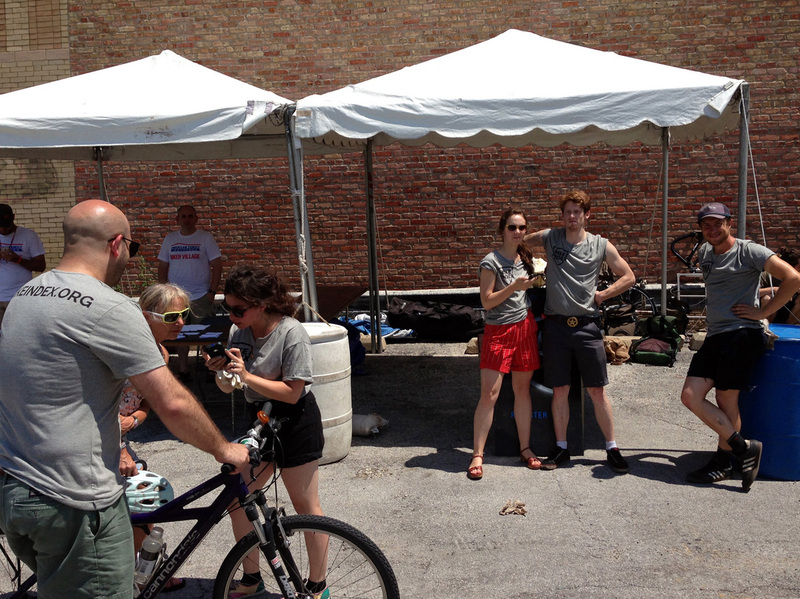 This past weekend was Pitchfork Music festival, the first large event where the Bike Index registered bikes. Our team greeted people as they locked up their bikes, explained the benefits of registration and (armed with only smartphones and smiles) were able to Index bikes in around 90 seconds. We registered 300 bikes over the weekend! Too many people to count thanked us for registering bikes— one fellow spontaneously gave us free tickets to Pitchfork because he was so excited about it. It started out rough though. Friday was so windy that the tent we'd been loaned crumpled. We disposed of the tent and endured the heat without shade. But even then, everyone who volunteered to help was fantastically positive. The following days were hot and dirty, but not unbearably so— plus we received a new, stronger tent. Everyone had fun. Unfortunately, all things must end. We biked home on Sunday evening, with our small table and our sign tied to the bike trailer, tired but satisfied. Thanks to everyone for helping out, especially Smart Bike Parts (for letting us set up beside them), and Pitchfork Festival (for providing water and bike parking space and giving us a second go with a tent).